Our I-Trac product went under the stage to support the weight of the stage. 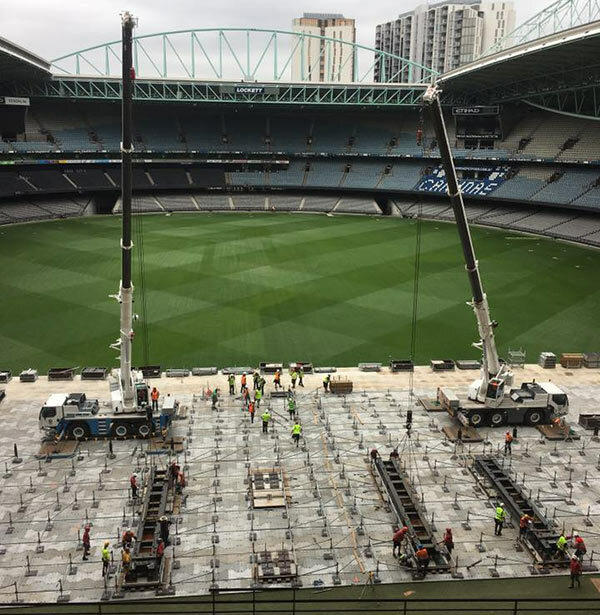 Supa-Trac was implemented in the front half of the floor, protecting the turf and allowing patrons to be on the ground with limited damage to the turf underneath. 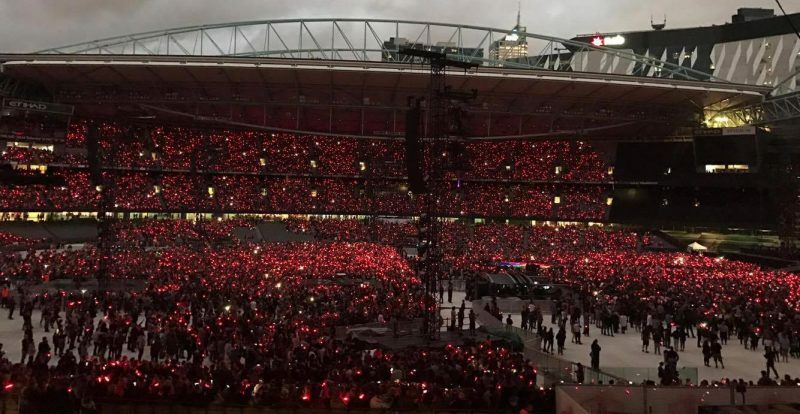 Coldplay is one of the worlds’ biggest bands today and their “A Head Full of Dreams” concert at Etihad Stadium did not disappoint. There was a fully synchronised lighting show, which was made possible by every individual wearing an allocated wristband, lasers, tonnes of confetti, fireworks, live drone footage and of course massive video screens. It was obviously a well-rehearsed performance and the event went off without a hitch. Contact Us today to see how we can facilitate your next major event.